The saga continues! 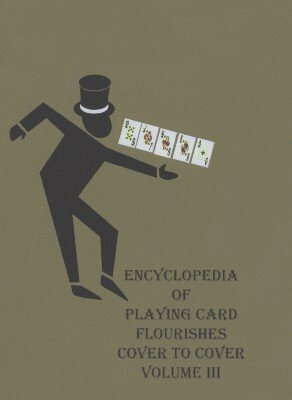 See the Flourishman perform every flourish in Chapters 7 through 9 of his comprehensive manual of artistic card manipulation: The Encyclopedia of Playing Card Flourishes . Not only that, but there are performance tips, advice on routining, and the usual stunning routines. See the famous Pirouette Arm-Spread Catch, the True Double Fan Shuffle and the Impossible Double Arm-Spread. See the Flourishman juggle two cards in one hand while shuffling the rest of the deck in the other. See full routines of one- and two-hand shuffles, two complete routines of arm-spreads, and the unique still deck and two-card juggling routines. See never-before published stunts like the Jump Through Shuffle, Double Overhand Shuffle, Back-Arm Changeover Arm-Spread, Giant Upright Arm-Spread, Whole Arm-Spread Catch and many many more! This third performance-only DVD is a companion to the book itself, which painstakingly teaches every flourish. The flourishes themselves are not taught on this DVD. Just seeing the flourishes in motion and in routines will reveal a wealth of priceless information available nowhere else. And no one but the Flourishman has the endless supply of moves to delivery so much variety at such a manic pace.